More than 29 million people in the United States have diabetes, and a quarter of them don’t know they have it. On top of that, more than 1 in 3 adults have prediabetes, yet 90% aren’t aware of the risk they face. Dr. James Okamoto at Ka Wai Ola Family Medical Clinic raises awareness and protects the health of those living in and around Waipahu, Hawaii by offering diabetes education, weight management, dietary and nutritional support, and medical treatment to patients with all types of diabetes. With Type 1 diabetes, the body doesn’t make enough insulin. Type 1 diabetes is usually diagnosed in childhood, but it can develop any time during young adulthood. Its symptoms usually appear quickly over several weeks, so you’ll likely notice the changes in your child. With Type 2 diabetes, the body makes some insulin, but doesn’t use it properly. Type 2 diabetes occurs mostly in adults and may not have any symptoms, or the symptoms may be hard to recognize because they develop slowly over the years. When you have diabetes, your blood sugar is too high. Over time, high blood sugar causes heart disease and damages the nerves, feet, eyes, and kidneys, so it’s important to get treatment as early as possible to lower the risk of these complications. If you have a family history of type 1 diabetes, you and your children are more likely to develop the disease. With type 2 diabetes, the risk increases as people age and in those who are overweight and inactive. Your chance of developing type 2 diabetes is higher if you’re overweight or have other health conditions like high blood pressure, high cholesterol, or polycystic ovary syndrome. How does Dr. Okamoto help patients with diabetes? The first step is to check blood sugar levels. Since there are several different types of blood tests, Dr. Okamoto will talk with you about the best option based on your medical history and overall health. As soon as he gets the results, it’s time to talk about treatments, which may include lifestyle changes or a combination of lifestyle changes and medication. Lifestyle changes. The goal of diabetes treatment is to get blood sugar levels down to normal and keep them there for the rest of your life. You’ll start with any necessary lifestyle changes, like losing weight, following a healthy diet that prevents spikes in blood sugar, and getting more exercise. Dr. Okamoto and the staff at Ka Wai Ola Family Medical Clinic will teach you about good food choices for managing your diabetes, and they’ll support you every step of the way. Medication. Type 1 diabetes requires medication in the form of insulin. Patients with type 2 diabetes may need medications if implementing lifestyle changes doesn’t get results. 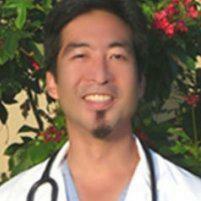 Dr. Okamoto chooses the best medication for your individual needs. He’ll explain why you need it and how to take it. Call if you have any concerns about diabetes, or if you want to schedule an appointment with Dr. Okamoto.